1. Pull out pox 305m/pull out box, 2boxes/outer carton. 2. Plastic reel 3. Wooden reel 4. As client' s request . 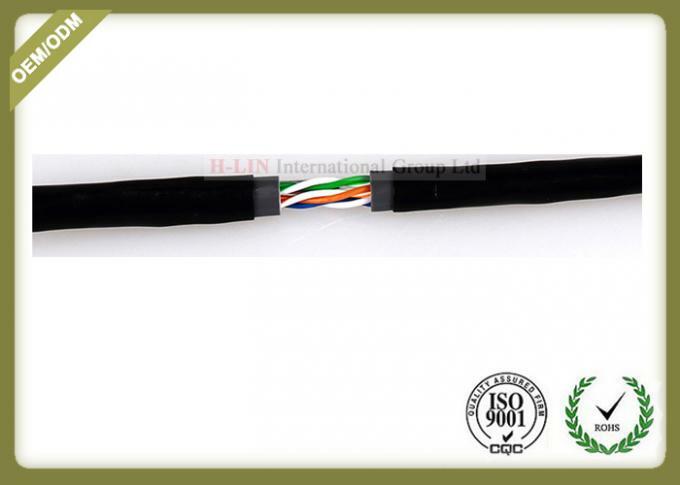 Name: Cat5e,cat6e of shielded outdoor unshielded outdoor oil filled Twisted Pair Outdoor waterline. 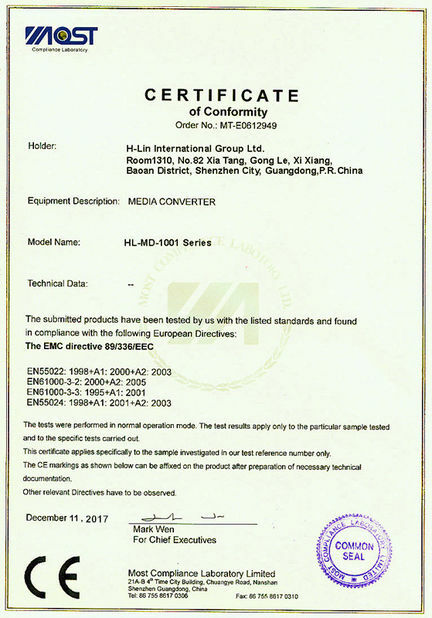 Characteristics: tensile, waterproof, sunscreen and mouse proof environmental protection materials. Material: 99.99% high purity oxygen free copper, sheathed polyethylene and PVC. Sheath material: PVC+PE double layer sheath. Product packaging: 305 M / axle, foot 305 meters. 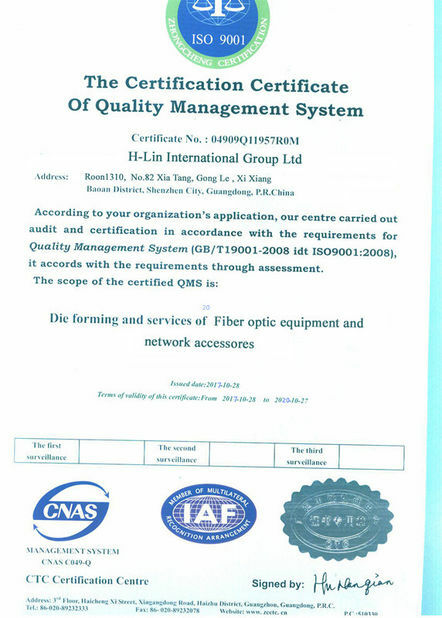 Scope of application: large scale network construction of government agencies, luxury hotels, intelligent buildings, etc. Up to standard Gigabit transmission standard. 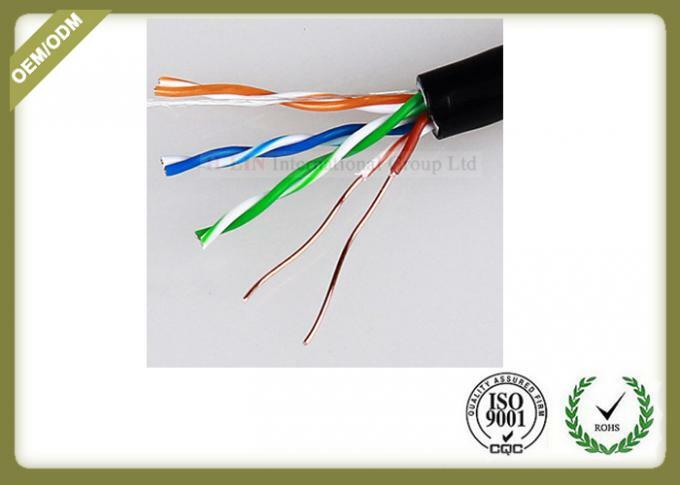 Conductor: solid oxygen free copper, Φ0.51 + 0.01mm. 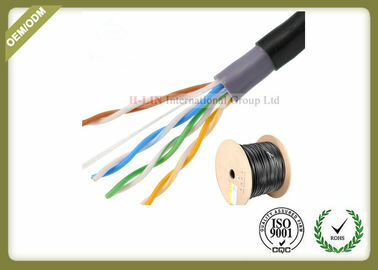 Insulation: new HDPE, Φ 0.91 + 0.05mm. Line logarithm: 8 core 4 pairs twisted pair. All our our jacket use the brand new material,never use second used material. Brand new HDPE outer sheath, anti-aging, corrosion resistant, tensile. 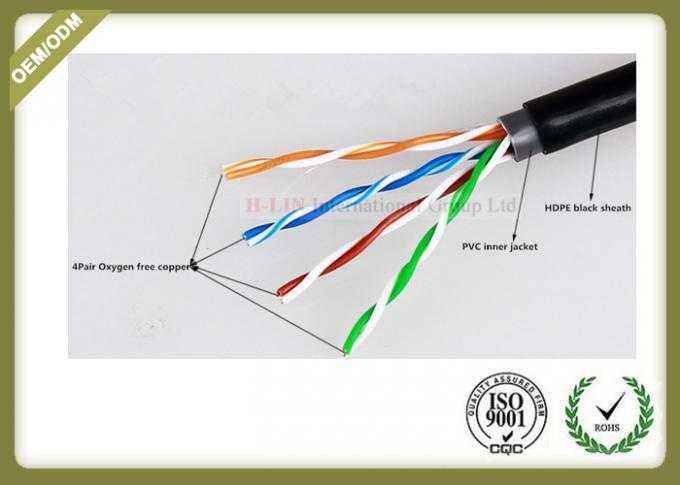 Standard oxygen free copper core material, copper purity reach than 99.9%, stable transmission! 100 nm ensures stable Internet access, stable data transmission, small transmission attenuation, low signal loss and high transmission rate. Each sheath is full of toughness and bright colors, which guarantees genuine products.